Migratory Birdwatching Season is still here. Some birds are leaving and others arriving…. …Also Whales can be spotted in the Ocean and Seals can sometimes be seen as well. Seabirds are also abundant now as there is a great deal of food for them in The Ocean. 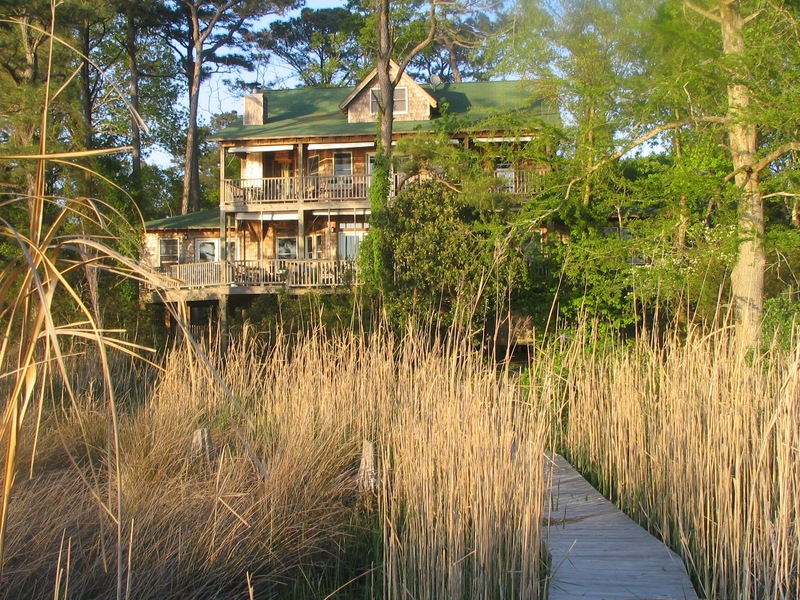 This also a great time for Wildlife Viewing at The Alligator River Refuge, The Pea Island Refuge, The Mattamuskeet Refuge and The Pocosin Lakes Refuge. As always the birdwatching at The Inn is excellent. There have been several seal sightings along the beach recently. Discounts currently available are only by booking directly with us. Availability calendars on other travel sites do not reflect our full availability. Please click on the Rates page icon above to see our rates and policies…..
Visit The Outer Banks for 120 miles of great beaches. There are 50 miles of undeveloped beach in The Cape Hatteras National Seashore. There are many other natural areas here as well which include National Wildlife Refuges, State Coastal Reserves , State Parks, Nature Conservancy Land in Nags Head Woods, The Audubon Reserve in Pine Island as well as County and Municipal Parks and Recreation areas. There are three First Order Light Houses here. These Architechtural masterpieces date from the 1870s and are still functioning. One can climb them March into November. There is excellent dining and shopping. There is a great deal of history on The Outer Banks. The fishing is legendary. The Surfing is the best on The East Coast. There are a large variety of other recreational activities both on water and land. There are some very nice Golf Courses which are uncrowded and affordable in the off season which is generally the best weather for golf. The famous Corolla Wild Horse herd is here. The Wright Brothers National Memorial is here as well. This is the site where the four year effort by the Wright brothers culminated in the first powered Airplane Flight. Please click on the Rates Page at the top of the site for rates & payment information. Please call us at 252-202-2731 from 8am to 10pm seven days a week to reserve & for more information. When making an online reservation please contact us either by email or phone once your booking is confirmed. The Inn is a non smoking facility both inside and on the grounds, Thank You for your cooperation………. We are unable to allow pets at the Inn…. Featuring Tempurpedic Beds and Free high speed internet access! 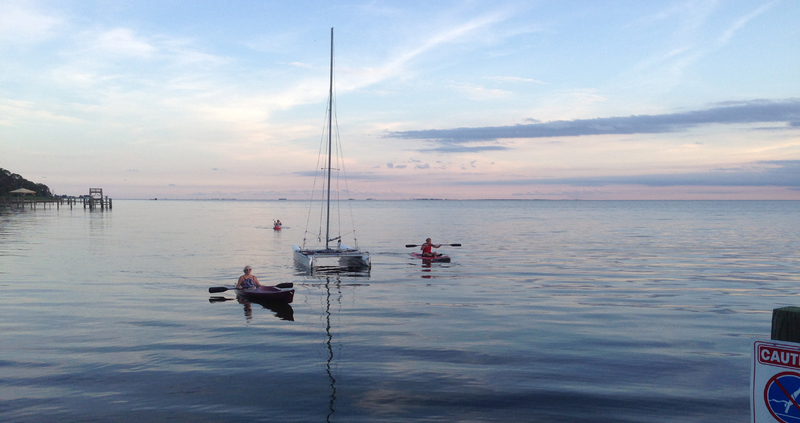 We offer Bicycles, stand up Paddle Boarding and Kayaking in The Sound which are included. Bird Watchers will find our location to be excellent. 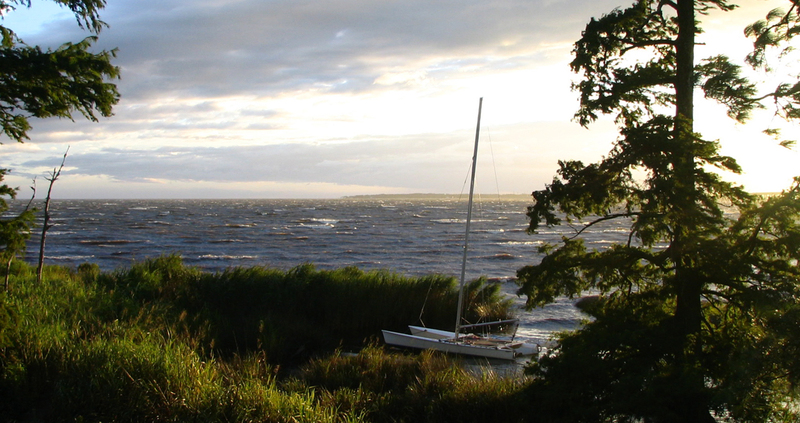 The interaction zone between the Maritime Forest, Wetlands and The Sound attract dozens of species of birds from the smallest Songbirds and Hummingbirds to Raptors as well as large Wading Birds. Sea Birds also visit the Soundside. 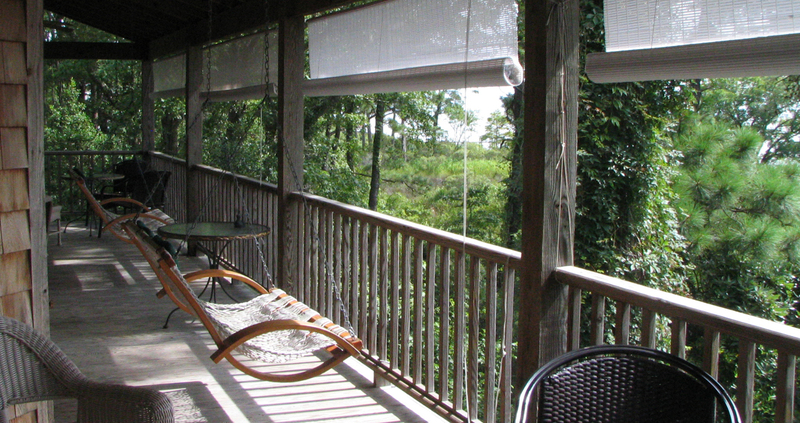 You can view in a relaxed way just sitting on the porch or in our immediate location. 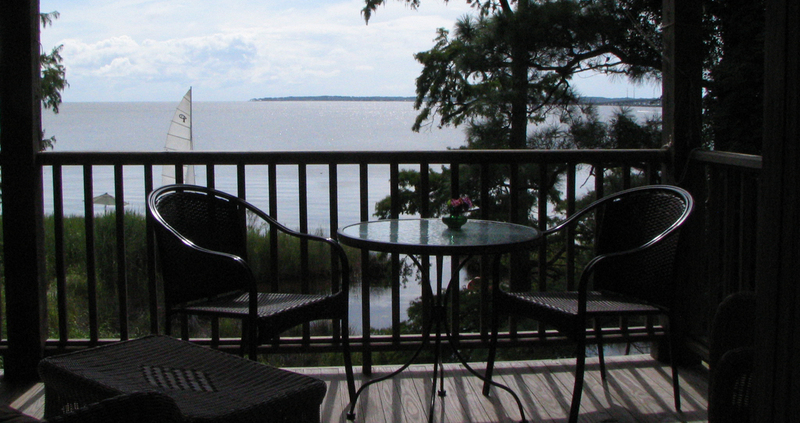 The Inn overlooks the broad waters of The Albemarle Sound here in Kitty Hawk. 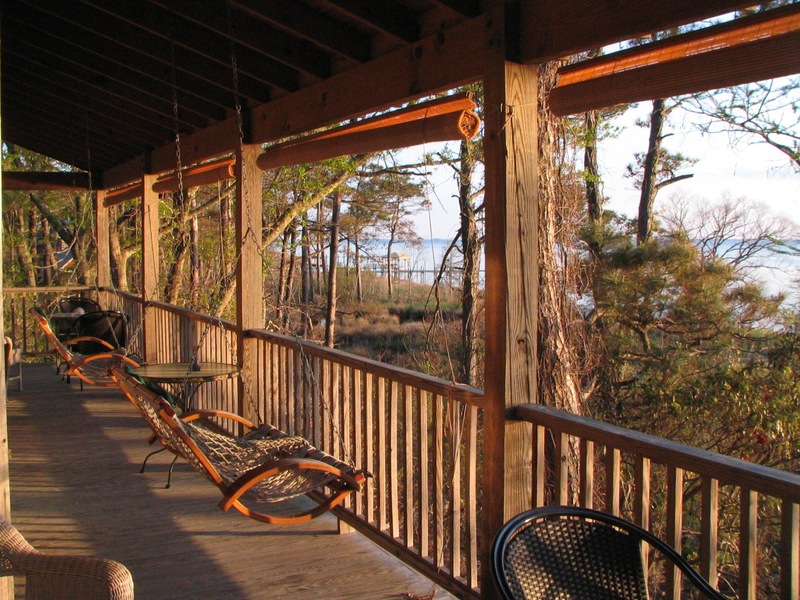 All of our rooms are waterfront with a view over The Sound. The Inn was built by the owners Greg and Linda Hamby for the purpose. The rooms sleep two adults with a private bath. In your room there is a refrigerator, Satellite TV, and Radio. There is a pier going to the Sound with seating over the water. The Inn is entirely Non Smoking inside and on the grounds. Thank you for your cooperation. You may also find us on AirBnB….. Within two miles or less you will find The Beach, restaurants, golf courses, shopping and recreational facilities. 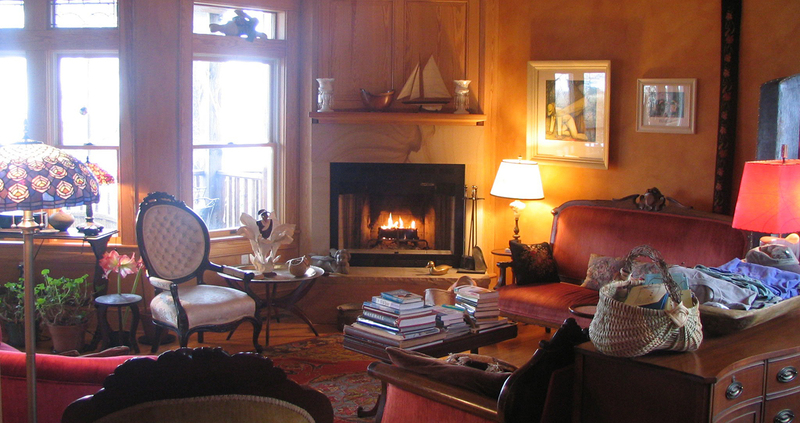 Your Innkeepers, Greg and Linda Hamby are residents of the area for over 42 years. 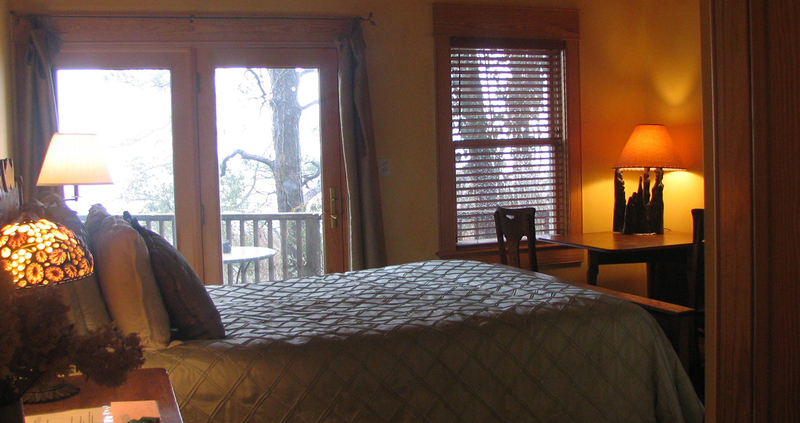 The Inn is located in a quiet residential area with no immediate neighbors.